Everyone knows that golf is a game where, as much as we play, you are never 100% during a match. I really believe that the sport of golf has much more in common with the game of life than many people think. Just as you do not have control over your ball, you are not in control of the course of your life either. As much as you train, you will always have new things to learn, as in life, as long as you have goals, you are always going to find new ways to train to reach these goals. Just as golf, life goes on in this same infinite cycle in search of new results and new experiences; however, there is one thing you can say about golf and life together: you will never have control over them. You will be satisfied with your improvements and achievements, but you will always be trying to overcome yourself, always trying to put out in physical, concrete, and real-form ways to express the best that exists inside you. Just like life, in golf, in the end, you realize that the fight is long and arduous, but the fight is only against yourself. I’ve learned that I cannot be bothered by things that are out of my control. We have no control over the events of our lives, but we can control how we deal with the different situations during the percussion of life. Just as my ball will land in different places, sometimes on the fairway or sometimes in the rough, I’m going to have to hit the ball to the green no matter where it is. I learn from myself how to get the best out of everything that happens in my life – whether it’s a good or a bad surprise. I have learned to talk with others and learn a new culture. I’m Brazilian, and as my husband is American, I had a hard time connecting and communicating with other people as soon as I moved here. Golf helped because, in Houston, the flow of people playing golf is constant. 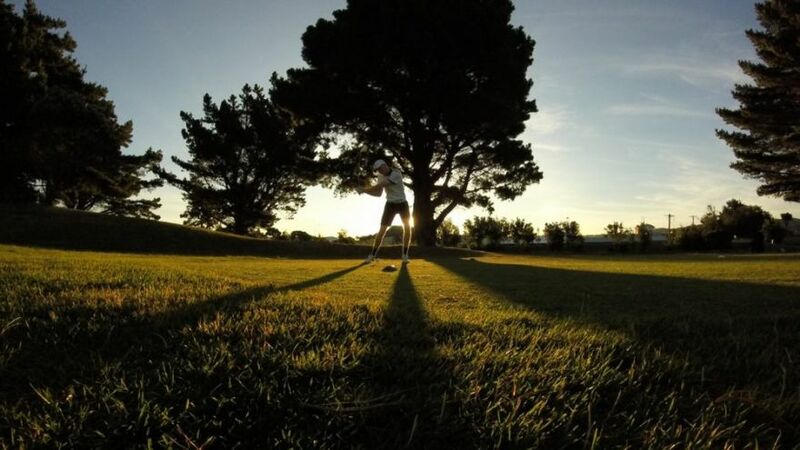 It really is very rare for you to play a game on your own, the golf courses always pair you with new people every day, and this helped me to communicate more with people and made me learn a lot about the culture of the Americans. One of the best things about this random pairing is that I got to play with all different kinds of people, some old, some young, some vibrant, some calm, some angry, and some happy. The same can be said in life, you do not have to like everyone you come in contact with but you do have to learn to play with them. Today, I do not have much difficulty speaking in public thanks to golf. Golf has helped me understand that quality is much better than quantity. 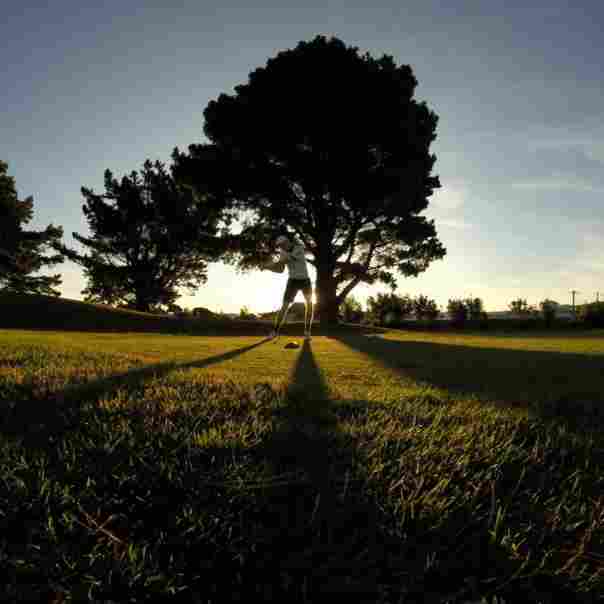 Many times, I would visit the driving range and hit more than 25 balls with no focus, which was not worth the effort. Reason being, in my head, the more balls I hit the more I’ll learn. However, I quickly learned that it is not only about hitting the ball. Simply hitting the ball will not give you the necessary contact that you need to have a good shot. So, I stopped and took a deep breath. During my break, I decided to watch my husband hit a few balls without exaggeration while I was in the middle of my bucket. My husband was just at the beginning of his bucket. I kept wondering to myself, how could he still be in the middle of his bucket?! I kept quiet and watched him. All 5 balls that I watched him hit – he was 100% focused on what he was doing and in those 5 strokes, he had a clean and solid contact with all 5 balls. If you put all my 25 strokes together, they did not even come close to three of his. In this, that’s how I understood the importance of quality. For quantity, when you take it to your personal life, you can see clearly that you do not have to be surrounded by a lot of people to feel loved and protected – you understand that the love and protection that you need can be supplied by 1 or 2 people that you really care about. I also learned to solve my own problems after I learned to play golf. 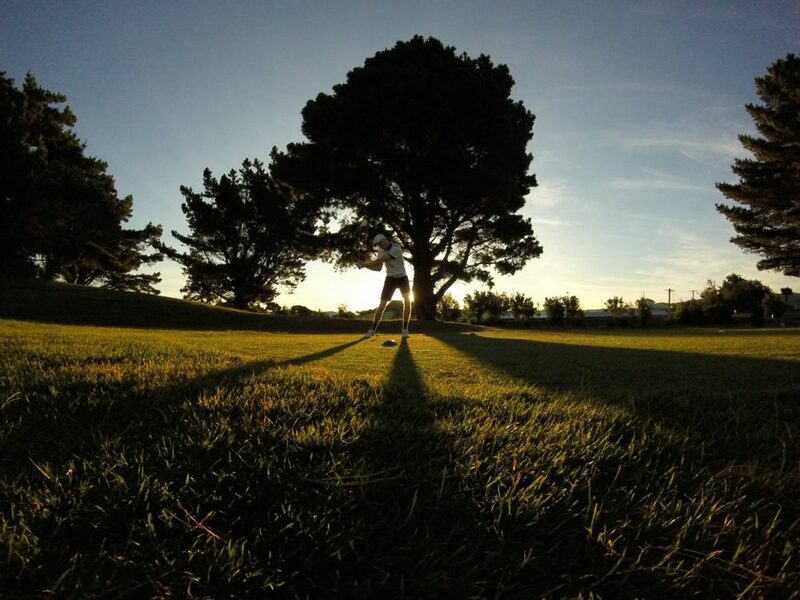 When you are in the tee box getting ready, you usually look at how far you are from the hole and right there, you need to develop your strategy. Believe me, along the way, your ball will not land where you planned. It’s then when you will have to develop a new strategy and so on until you finish the hole by putting the ball on the putting green and finally in the hole. It is the same thing in life! You will choose a direction and along the way, you will discover new paths that you can use to achieve your own goals. Focusing is not an easy skill to develop by yourself and golf is one of the sports that causes you to unleash that ability instinctively. You do not only learn to have focus, you also learn to keep focusing for a long period of time. 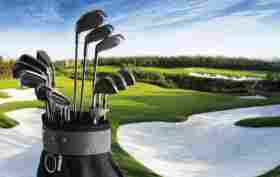 (18 holes is the duration of your focus training!) It is extremely important, in golf, to focus on your movement and on your breathing in order to have good performance during the whole round. This emotional control that golf helps you develop will definitely help you in the same way that helps me when I have to focus on goals or personal tasks in my life. The most important life lesson, in my opinion, and that, until today, I still do not control totally is patience. You will not be the next Tiger Woods in two days. Trust me on this one! Golf takes quality time and practice to learn if you do not start as a child, which is my case. Progress is slow and you need to be patient and grateful for the minimal improvements. These small improvements make a big difference in your performance. Everyone knows that being a patient person is one of the best virtues that anyone can have in life and, with a little practice and determination, you will learn how to develop this ability. After all your understanding or not understanding of things will always take a certain amount of time to happen, and this is not up to you. Always keep positive thoughts and believe that in the end, everything will always works, and if it has not worked yet, you are not yet at the end of your journey.